If you have a heating, ventilation and air conditioning related job, you are probably interested to know what are the best models of multimeters for your job type this year. You have come to the right place. Stick around and find out what models are top notch when it comes to HVAC multimeters and what are the pros and cons of the best HVAC multimeters in 2018. What is the difference between HVAC and standard multimeters? There is no difference in basic functions, however, HVAC multimeters have some additional features. The most prominent of those additional features is temperature measurement. Temperature measurement is a very much needed feature for heating, ventilation and air conditioning professionals. It enables them to check the temperature while installing or repairing boilers, pipes, heating and air conditioning. Having all those features together, combined in one multimeter, can be very useful for the HVAC technician since they don’t need to measure just temperature but also electricity and continuity, especially when working with electric boilers and air conditioning. Now that you know what are HVAC multimeters, feel free to dive right into this article and find out what are the best HVAC multimeters in 2018! Comes with all the necessary equipment – this combo kit contains everything that a beginner needs to start working in the HVAC, including the thermal measuring probes and the clamp meter. Fluke 116 is CAT III 600V certified and Fluke 323 is CAT III 600 V and CAT IV 300 V certified. This combo is unsuitable for highly advanced, professional users.I have decided to pick FLUKE-116/323 KIT HVAC Multimeter and Clamp Meter Combo Kit up because it has an approachable price, it is Fluke 116 and ready for use immediately, it comes with all required multimeter test leads and it has the temperature measuring test leads and, if you get a Fluke 116, a clamp meter included. This combo kit is an excellent opportunity for users who are new in the business to start off with a full set of quality equipment that they can afford. The level of quality of this combo is standard for Fluke. This means that products shipped in this combo will work a very long time and they will work in accordance to the high standard that Fluke company has set for themselves. The safety of this kit absolutely amazing. The multimeters in this kit are made of reinforced plastic. The fuse is US built and will definitely protect you in case that something goes wrong. The only difference is that the Fluke 116 comes with an integrated DMM temperature probe and 323 doesn’t. Another one of Fluke’s marvels, the Fluke 116 HVAC multimeter has earned its spot on this list of the best multimeters for HVAC field. Although with notable differences from the other products on this list, both positive and negative, this multimeter found its place on this list due to its level of quality and level of usefulness. Featured in the combo one the previous place on this list, Fluke 116 HVAC comes with a built-in thermometer for heating, venting and air conditioning, which is definitely good, because this multimeter is not available for purchase in a package with multimeter test leads. Fluke 116 HVAC comes with a powerful backlight that enables you to work in low light environments. This is very important for the best HVAC multimeter in 2018 because many HVAC professionals need to work in low light environments. This multimeter is designed to be able to do a range of standard multimeter features. The only thing that it can’t do is measure amps, only militants and that is a deal breaker, in my opinion. That is one of the most needed and most basic functions that a multimeter can have and it is a real shame that Fluke 116 can’t do that. This multimeter is suitable for experienced users and for industrial settings. Like all Fluke models, the level of safety that this multimeter provides you with is up to the standard. Fluke 116 HVAC can’t measure nanoamps and amps, only microamps. That can be a huge problem when you take into account the purpose of this multimeter. The Fluke 116 HVAC will be easy to use for the beginner and an experienced user alike. You need to contact the customer support immediately if you discover this and they will grant you a replacement. This is a very serious oversight for a CAT III certified multimeter. The Fieldpiece HS33 is a manual ranging stick meter with the ability to measure temperature. Fieldpiece HS33 can measure standard and ghost voltage without contact. Unfortunately, this multimeter doesn’t have a backlight so it isn’t suitable for some types of industrial work and low light environments. This multimeter is calibrated and the results are very precise. If you are measuring voltage, amps or temperature, you can rest assured that this multimeter is giving you a precise reading. The extension leads work perfectly and I highly recommend this model if you need to conduct work in a high voltage environment. The manufacturer also claims that schools in the United States use this model for teaching HVAC students and I find that likely because of Fieldpiece HS33’s approachable price, a reasonable level of safety and the number of features this multimeter offers. Below the, sadly, not backlit screen, are located highly visible LED lights that serve as indicators of continuity and high voltage. Fieldpiece HS33 model is made from reinforced plastic and comes with a quality fuse installed. The only problem that I have with it is the lack of additional rubber protection around the body, as seen on every Fluke’s model. That probably isn’t an issue for everyone, but since I am usually extra careful when it comes to safety, this bothers me. Another, more important problem is the somewhat protruding dial in the middle. In the case that this multimeter falls, there is a small chance that the dial will break. The body of the Fieldpiece HS33 is resistant to drops, but not like some of the other models on this list. The issues with temperature measuring are virtually none existent, unlike the case of some other models on this list. The holster that comes with this multimeter could have been made out of more sturdy and more protective materials, but that is really insignificant when you realize that everything else that you received in this package is superb for this price range. This multimeter can be a little bit complicated for the new user, but Fieldpiece HS33 is shipped with a detailed instruction manual that enables the user to understand every function that this multimeter has and to use the multimeter with ease. DL 369 multimeter is on this list because of its approachable price and its features that make it an excellent choice for the new guy in HVAC. This multimeter comes shipped with a soft case and multimeter test leads. DL 369 omes with a standard range of multimeter features like resistance, continuity and diode testing. The clamp is inbuilt in the multimeter and it can only measure AC current. The Test Instruments DL 369 is accurate, but a little bit slow on producing amperage results. DL 369 can measure temperature, but it doesn’t come with thermal probes. 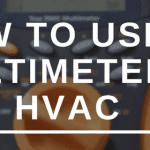 If you want to use this multimeter in the HVAC niche, you will need to get those separately. Once you do get the thermal probes, you will be pleased with the abilities of this multimeter. DL 369 doesn’t have a backlight. This could be a problem for heating, ventilation and air conditioning technicians that sometimes need to work in low light environments. The size of this multimeter makes it very impractical for you to even hold it up in one hand and light it up with a flashlight in the other. Like the previous model on this list, the DL 369 also has a very protruding dial that could easily break in case the multimeter falls. The dial is easy to use, but it isn’t made of strong plastic, so that could be a problem. In fact, the whole multimeter does not look or feel very reassuring when it comes to sturdiness. The casing is made of tougher plastic, but the way that it was put together makes it possible for the multimeter to crack in half in case it falls. The fuse is OK, but it could and should be better. I guess that all those features are actually in proportion to the price. This multimeter is the cheapest on this list and it is excellent for users who won’t use it in industrial settings and for users that need to use multimeters on a somewhat rare basis. The good news is that the side of the fuse is placed against a structure that looks like a blast shield. DL 369 is CAT III certified or at least it says that on the front side of the multimeter. This multimeter is easy to use and shouldn’t be a problem to use, even for the newest in HVAC. The test leads could be a bit better, but they are, in fact, as they should be, when we take into account the price of this product. If I were the manufacturer, I would have kicked the case that comes shipped in the package out and invested the saved money in the quality of the build materials. That would have made this product even better for the same price. This multimeter also has a dual display and an auto-off feature that turns it off after a couple of minutes of inactivity. Another one on our list of best HVAC multimeters of 2018 is the Fluke 324. Although this is not a fully fledged multimeter but a clamp meter, Fluke 324 has definitely earned its place on this list. Although it is not a ‘true’ multimeter, it has all of the functions that ‘true’ multimeters have and it well outperforms some of the other products on this list. Fluke 324 comes with a soft case, temperature probe and multimeter test lead with protective rubber caps. Fluke 324 is small and it can fit your hand easily. You can be confident that it will not fall out because of its ergonomic design. It comes with a backlight that uses very little power. This clamp meter is shipped calibrated and the results it displays are accurate and precise. The temperature measurement is accurate. The output of the results of thermal measurements can be in degrees Fahrenheit or degrees Celsius. Fluke 324 has AC and DC measurement capabilities. Continuity meter produces a loud sound when it detects continuity. In terms of safety, the Fluke 324 is CAT III 600 V and CAT IV 400 V certified. This clamp meter is made of a thin layer of strong plastic. It could potentially break if dropped, but due to its low weight and sturdiness, I think that it is highly unlikely. The dial doesn’t have anything besides a small dot for you to grab when you want to turn it and that is a bit unfortunate. On the upside, the dial won’t break so easily if dropped. I can understand the decision of the manufacturer to leave out anything on the dial. Fluke 324 is so small and compact that any additional part would break its nice sleek silhouette and make it visibly wider. Fluke 324 is very easy to use, for beginners and experienced users alike. This clamp multimeter comes with a temperature probe, standard multimeter test leads, protective caps for test leads and a soft holster. It has a nice True RMS feature that makes life easier for users that require a higher level of accuracy in their measurements. Fieldpiece SC260 is equipped with a nice, powerful backlight that is very bright even in the sun. Amazingly, the powerful backlight in this model consumes very little battery power. These are excellent news for users who need to work in dark areas or at night, as this model has the best backlight on this list. Fieldpiece SC 260 can measure temperature in both Fahrenheit and Celsius scales. Some models seem to be calibrated, while some don’t. I don’t even know how is that possible, but I think that that is just a coincidence and that the manufacturer does not calibrate them. This meter has all features that standard digital multimeters have. That includes continuity, amps and voltage measuring, and more. Temperature measuring is not as accurate as it should be and that seems to be a significant problem for a small (around five percent) number of buyers. This meter has a low battery indicator and a magnet on the back. This meter is easy to use for users with different levels of experience in the HVAC field. The level of safety of Fieldpiece SC 260 is very favorable and the Fieldpiece Company is getting really close to Fluke when it comes to this criteria. We have some multimeters that have performed exceptionally in 2018, so we would make a buyer’s guide with the display, accuracy, true RMS, safety and build quality sections to let you know how these multimeters performed in these categories, so your purchase would be an easy one. When you are trying to purchase an HVAC multimeter, it is not just about their measuring ability; there are other things to consider like the display of the device. Do you know you may be buying you multimeter you can’t use, due to terrible display? A multimeter like the Fieldpiece SC260 performs great when it comes to the backlight, users of this device say that if you have to measure in the sun, you would still notice the light. That might be an exaggeration, but it emphasizes the brightness of the Fieldpiece SC260 LED backlight. Another multimeter with the very good display is the Fluke 116, the LED backlight along with other qualities of this multimeter has made it also one of the best HVAC multimeters of 2018. So if you are an HVAC technician, and you have been having problems with the display while you work try the Fieldpiece SC260 or Fluke 116 multimeters. Another thing to consider is accuracy; when you deal with multimeters, you would know that their level of precision differs from each other. They may both give expected results, but for some tests like temperature when dealing with heat, ventilation and air conditioners related jobs, accuracy becomes mandatory. But as a DIY enthusiast, most times when you test your household appliances, there is a possibility that you might need to hire a technician who would make a second test for repairs. So, some small time electricians or DIY enthusiast may not relate to this because getting accurate results of tests wouldn’t be much of a risk, unlike HVAC technician that deals with expensive machinery and electronics. For accuracy, we recommend the Fluke 324; it produces precise readings from tests. The Fluke 324 can measure both alternating current and direct current accurately; it also tests temperature precisely. While taking continuity test with the Fluke 324, the meter produces a loud sound on detection that is difficult to miss. Other accurate multimeters are the Fluke 116/323 and the Fieldpiece HS33. The Fieldpiece HS33 can also measure voltage, temperature or amps and give precise results. Apart from measuring alternative current and direct currents, or voltages another quality to look out for in a multimeter is the auto-ranging function. A multimeter with the auto-range function is a better choice for occasional users, in that it makes the multimeter a more straightforward tool to be used. When measuring resistance, voltage or capacitance with a manual ranging multimeter, to keep the measuring accuracy, knowing the certain ranges to set the dial would be required. If you don’t have experiences using the multimeter, this might be a challenge. 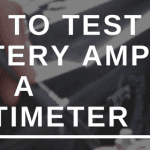 With the auto-range multimeter, you don’t have to bother; it does this for you. For example, you want to test the resistance of a conductor, all you have to do is set the multimeter to ohms reading, connect your leads and make your test. Not all multimeters have the auto-ranging feature, but the Fluke 324 is auto-range, so it doesn’t require any settings. The Fluke 116 and DL 396 are also auto-range and are easy to use. If you have a manual-range multimeter that works well, you don’t have a problem as long as you can use it well. But whether you are an experienced electrician or not, we recommend you use an auto-range multimeter, it may be more expensive but may help you save some time and hassles. True RMS means “true root mean square,” and one word that can perfectly describe the true RMS multimeters is “accuracy.” They give precise measurements of alternating current and voltages. When you take voltage measurements with regular multimeters without the true RMS, they read sine waves. Sine waves are also called sinusoidal; we would describe them are pure, non-distorted or ragged waves. Since symmetrical peaks and valleys represent them, you can get the voltage from the calculated average peak. Sine waves are not the only existing type of wave; some could be distorted and have irregular patterns like triangles or squares due to current spikes. These are called Non-sinusoidal waves. Without a true RMS multimeter, you can measure only the sinusoidal wave accurately, it may measure the non-sinusoidal also, but the accuracy of the results can’t be trusted. So now you see the importance. For HVAC technicians, true-RMS multimeters are required because there is always there could always be possibilities of non-sinusoidal waves. The device well known for its true RMS measurement is the Fluke 324, it can be used to test power lines where the characteristics of the alternating current are unknown. Another quality true RMS multimeter is the Fieldpiece SC60. The multimeter is an important testing instrument for testing electricity, and one thing we should always take into consideration is safety. There are different levels of electrical safety, so while carrying out these tests, it is essential to pay attention to them. While using the multimeter, there could be situations of overvoltage, using a multimeter that can cover or withstand that level of voltage could save you from injuries or any hazard. The voltage levels are broken into categories- CAT I, II, III and IV where the safest is CAT IV. CAT I rated multimeters can easily measure telecommunications or electronics. CAT II can do better and measure powered branch circuits, while CAT III can measure switchgear, polyphase motors or distribution circuits that feed the branch circuits. CAT IV which is the highest rating can be used test high-voltages like underground or overhead lines, and transformers, where occurrences of overvoltage can be expected. The Fluke 324 with CAT III 600 Volts and CAT IV 400 Volts can measure several dangerous levels of electricity. Another device we can vouch for the safety they provide is the Fluke 323 CAT III 600 Volts and CAT IV 300 Volts. If you have been following this guide well, you will notice that most of the multimeter qualities compliment each other. When we talk about the build quality, we will consider the weight, the durability and how the build-up makes it easy to use. Well, we recommend the Fieldpiece HS33 for build quality, as it is made of plastic. The dial is also placed on the middle, so when it falls, there is a probability it wouldn’t break. The casing is also relatively resistant to water, so situations of water splash or drops cannot affect your readings. Although a downside is that doesn’t have rubber protections around it for a better grip, for its price, it seems reasonable enough. For the Fluke 324 model, if we ignore the dial that is placed in a delicate position, it has a good build up. It is made to have a lightweight and small size for it to be portable enough to be carried about. The most qualified multimeter on this list is the Fluke 324 True RMS (check it out on Amazon.com) clamp meter with temperature and capacitance measurements. I think that it is obvious why. This multimeter easily outperforms all other products listed here. Even though it has a few flaws, they are so small and insignificant that most of you won’t probably even notice them. The accuracy, features, and quality of build are at the level of a much higher price range. It is incredible how people at Fluke managed to put this ‘work of art’ together, make it so accurate and build it from such good materials for this price. Although the sturdiness of the body is not the best on this list, the level of protection that it offers is in the top. If you are into heating, ventilation and air conditioning and you are looking for the best HVAC multimeter of 2018, I think that you have just found one. If I were you, I’d get one as soon as possible.